It began at playgroup, seven years ago. I was handed some bamboo needles and some organic wool, and we knitted a scarf for our children. The smell!! I remember being compelled to sniff my work all the time. I should have known then it would one day become something of an obsession. For the past year I have tried to teach myself at least one new skill with every new project, learning to cable, shape, gather, knit in the round... 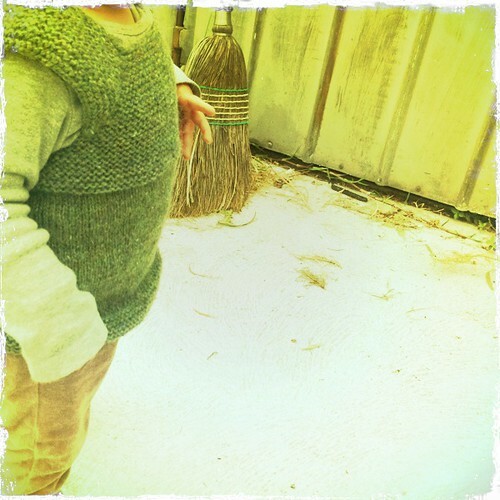 I attempted a cardigan for myself, and my children, and next... socks and a shawl, for goodness sake! I obsess over which colour I should choose, and dream at nights, of choosing the perfect hand dyed skein! I must acknowledge the incredible online global community of knitters, Ravelry, in assisting my obsession no end! This is how obsessed I am: I take more photos of my knitting and yarn than I do of my extraordinarily cute baby boy, or big girl offspring. I take my knitting everywhere, just in case I get even two minutes to knit! I rush to school pick up so I get time to knit before the bell goes, I knit instead of folding and putting away clothes, even when said clothes prevent one from sitting on the lounge or seeing my bed. That's okay! I can knit on the floor! And I am so happily tired from late night knitting I don't notice the pile on the bed anyway! 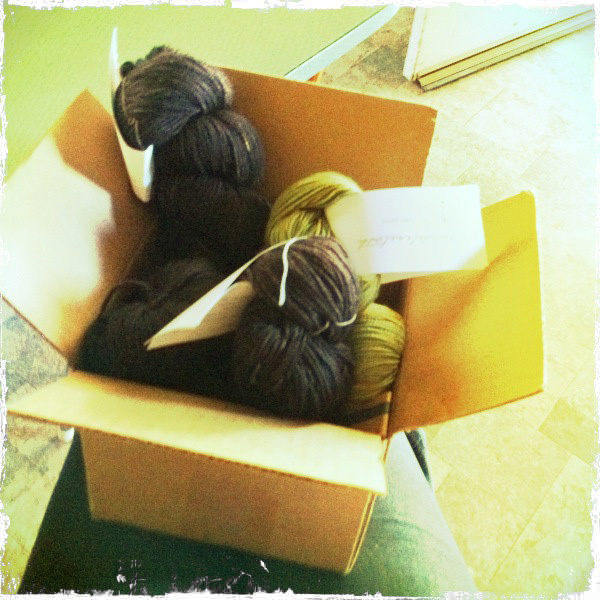 I am about to finish my cardigan and have today received the cutest little box full of wool for my next two very ambitious projects. Fluffy mail indeed, and I sniffed vigorously! 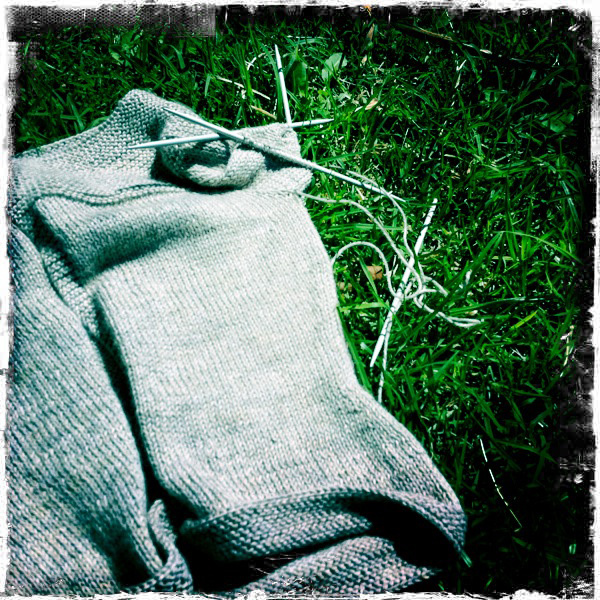 we take our knitting everywhere because we know a goog knitting experience is waiting for us.